brandy « Liquid Assets Limited: Wine & Beer! Vinexpo Asia-Pacific will gather 1,300 exhibitors from all over the world with an exhaustive offer of wine and spirits of all ranges never presented in Asia before! Liquid Assets Limited is proud to take part once again, in this year’s HOFEX 2013. 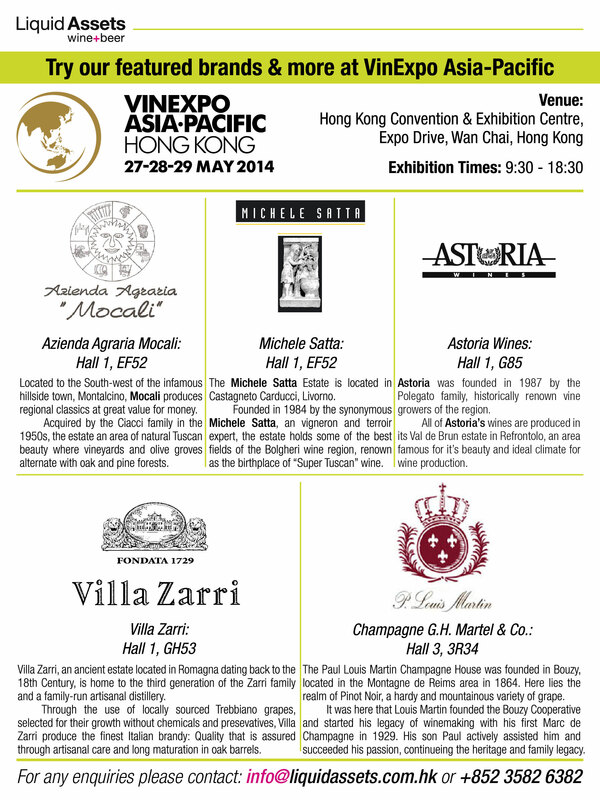 Join us from the 7th – 10th of May at the Convention & Exhibition Centre, Wanchai. HALL 5F / Stand 310. 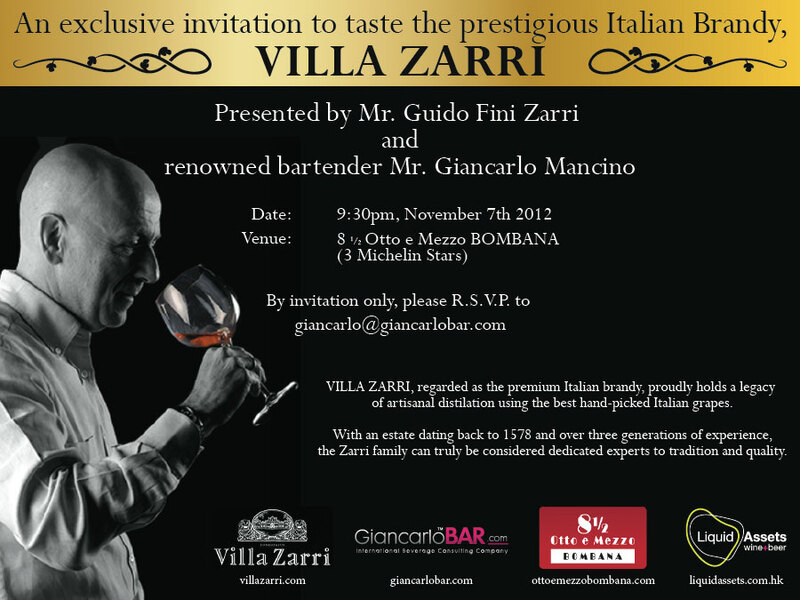 We will be alongside our sister-company and quality Italian food suppliers: Brightview Trading. 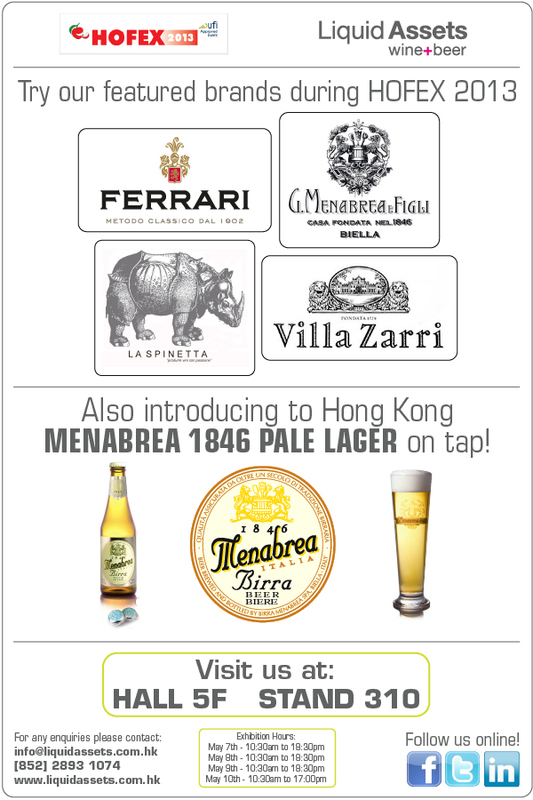 – Menabrea 1846 Pale Lager on draught!